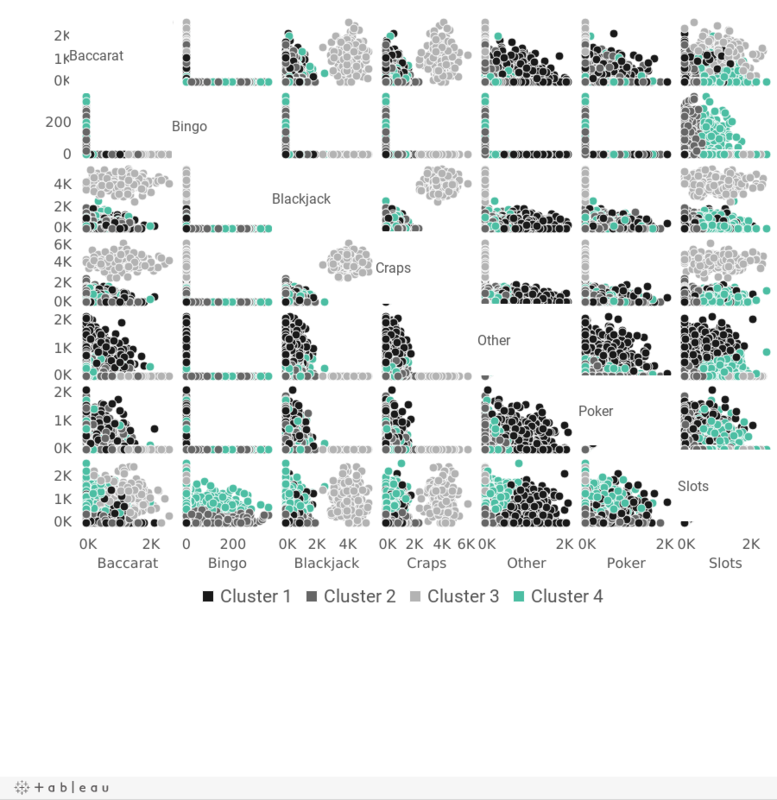 This case exemplifies how data graphics highlight categories of casino guests based on which games they play and how much they wager. This knowledge will allow casino managers to decide which games to offer and the level of complimentary items (“comps”) to offer their guests. Examples of “comps” include a free All-You-Can-Eat lunch, $150 show tickets, or a private jet ride to the casino.